Today, I’m Disneybounding as Esmeralda from The Hunchback of Notre-Dame. To be very honest, this outfit was very difficult to pull together because of the pieces that I had manipulated to make it all come together that echoed something that was Esmeralda-like. My white button down top is actually turned backwards with the top two to three buttons unbuttoned, so that I could make it more of an off-the-shoulder look. I think that it surprisingly works though! What do you think? Moving down the outfit, the turquoise belt/band around my waist is actually a strapless dress that I’ve folded in itself to make smaller, so that it cinches my waist. And……the purple part of my skirt is actually a cardigan! 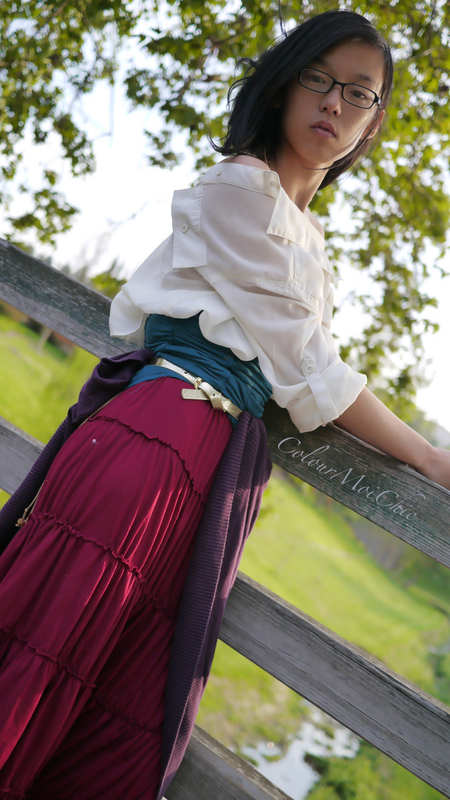 I slipped a gold skinny belt through the sleeves and wrapped it around my waist so that it would drape down and serve as a second layer to my maroon colored skirt. 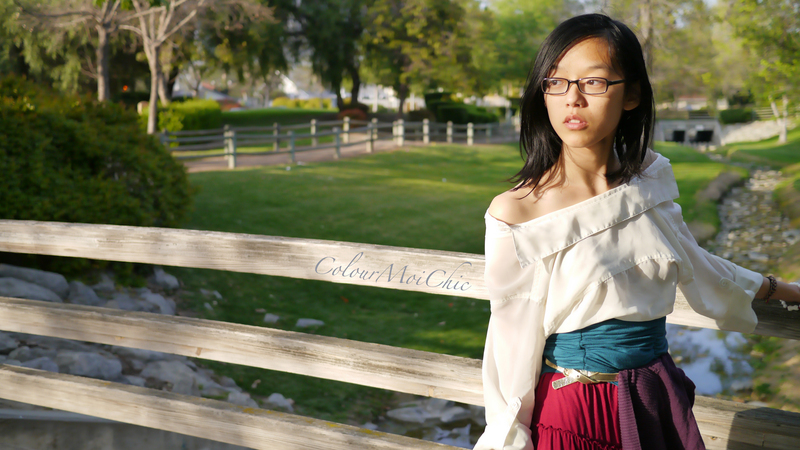 This entry was posted in Coloful Outfit Day and tagged COD, CottonOn, Disney, Disneybound, Esmeralda, Express, Fashion Q, Forever 21, The Hunchback of Notre-Dame. Bookmark the permalink.